Results for search "Sunburn / Tan". Many college students continue to tan outdoors driven by low self-esteem, study finds. "Adverse skin reactions from gardening are very common and may include bug bites and stings, plant-induced rashes, and cuts and infections," said Dr. Sonya Kenkare, a dermatologist in Evergreen Park, Ill.
THURSDAY, Aug. 9, 2018 (HealthDay News) -- People who have frequent recurrences of a common skin cancer may be at increased risk of a range of other cancers, a new study suggests. 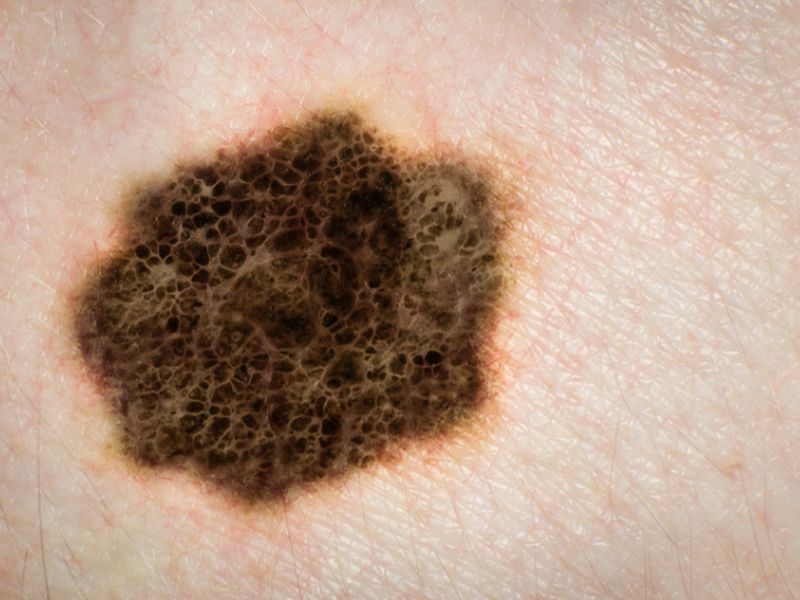 Researchers found the heightened risk among patients who'd had many bouts of basal cell carcinoma (BCC) -- a highly treatable form of skin cancer diagnosed in over 3 million Americans each year. TUESDAY, July 10, 2018 (HealthDay News) -- Stick or spray-on sunscreens are essential tools against skin cancer, but it's important to use them the right way, a dermatologist says. 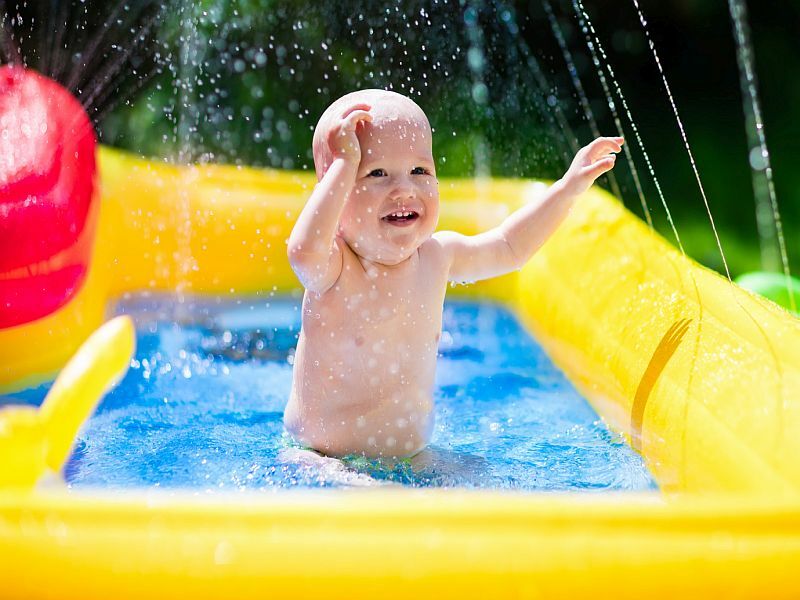 "Sticks are easy for under the eyes and the backs of the hands, while spray sunscreens are often easier to apply on children," Dr. Debra Wattenberg said in an American Academy of Dermatology news release. 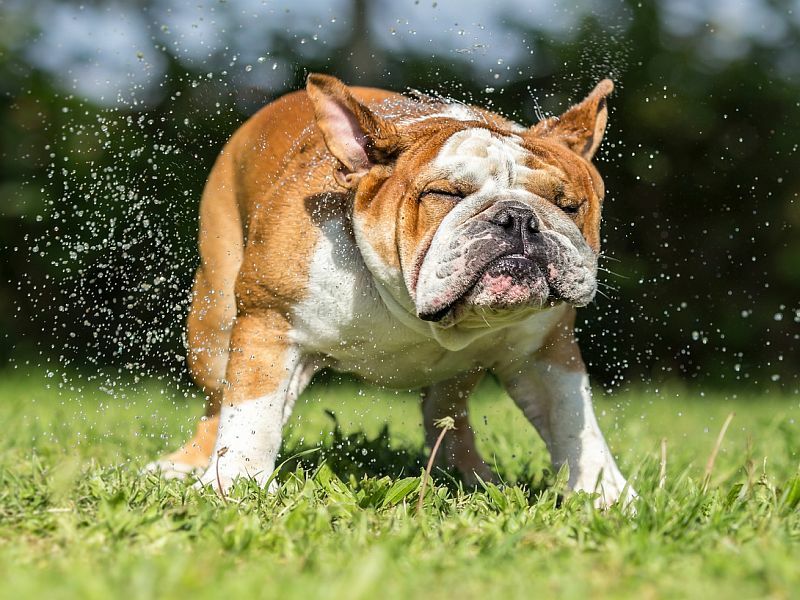 FRIDAY, June 15, 2018 (HealthDay News) -- The scorching heat of summer poses dangers to people, but dogs also need protection from soaring temperatures, one veterinarian warns. FRIDAY, June 15, 2018 (HealthDay News) -- It's often said salt water is good for cuts. Or that sunscreen isn't needed on cloudy days. But both are incorrect, says Isabel Valdez, a physician assistant and instructor of family medicine at Baylor College of Medicine in Houston. 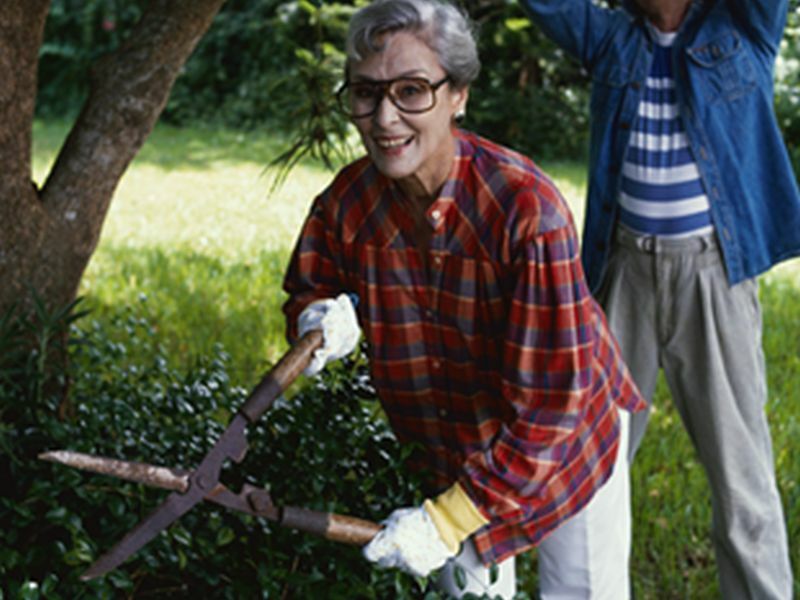 When you head outdoors this summer, you should be aware of some common health myths, she noted. TUESDAY, June 12, 2018 (HealthDay News) -- Summertime means fun time, but you still need to follow some basic health and safety precautions. Dehydration is a common summer problem and often results in dizziness, dry mouth and lightheadedness. But it also can be more severe, according to Dr. Ravi Rao, a family medicine physician at Penn State's medical center. THURSDAY, May 31, 2018 (HealthDay News) -- Where fear of skin cancer has little effect, vanity may succeed. 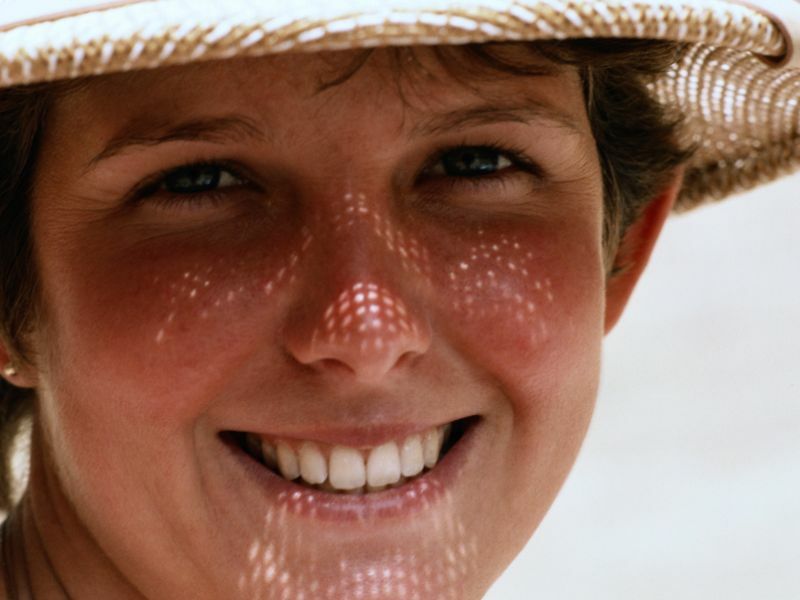 In a new study, sun worshippers who were shown computer images of how their face would age after years of ultraviolet (UV) light exposure often decided to quit the tanning habit. 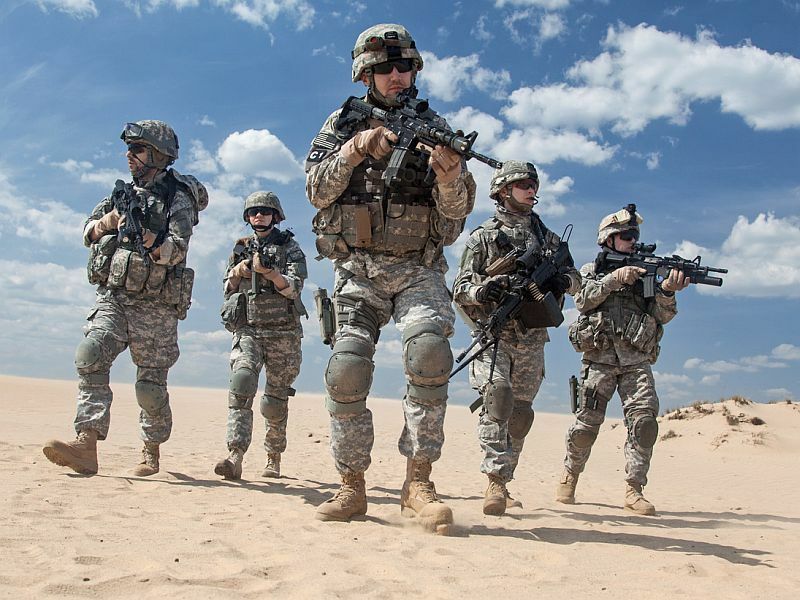 THURSDAY, May 24, 2018 (HealthDay News) -- For U.S. military personnel, deployment carries many dangers. 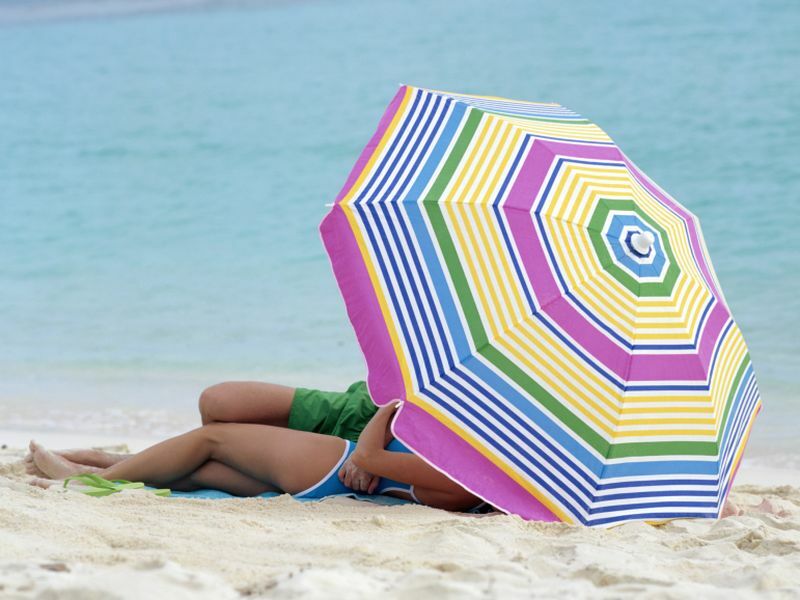 And besides the well-known threats they face, these men and women are also at a higher-than-average risk for skin cancer, including potentially deadly melanoma, a new research review suggests. TUESDAY, May 22, 2018 (HealthDay News) -- If you think popping a pill will somehow keep your skin safe while you tan, think again. The U.S. Food and Drug Administration on Tuesday issued warning letters to companies marketing supplements that they claim will counter the effects of the sun's harmful ultraviolet (UV) rays. What Drives Millennials to Tan, Knowing the Risks? WEDNESDAY, May 2, 2018 (HealthDay News) -- Many millennials and young people continue to tan, despite warnings about the link between excess sun exposure and skin cancer, new research warns. 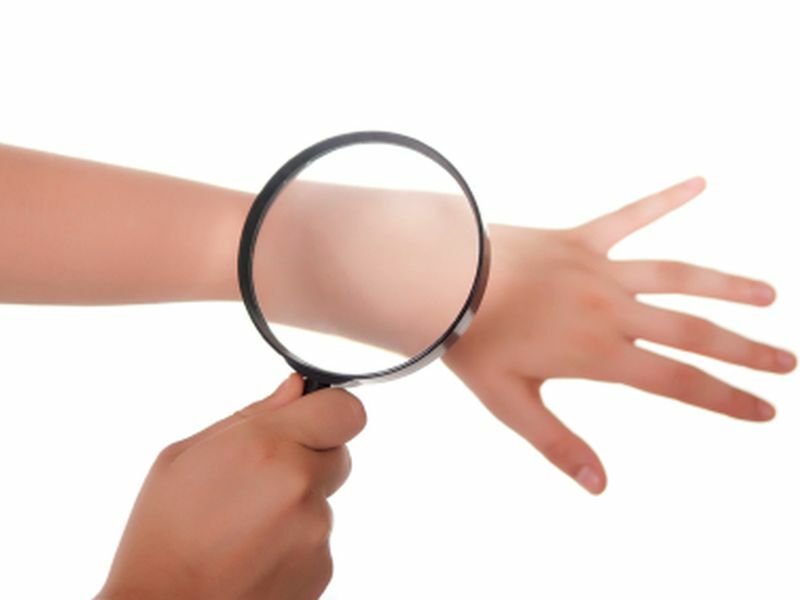 Some are poorly informed about the potential harms of bronzed or burned skin. Others overlook safety concerns, often driven by low self-esteem or narcissism, said study lead author Amy Watson. 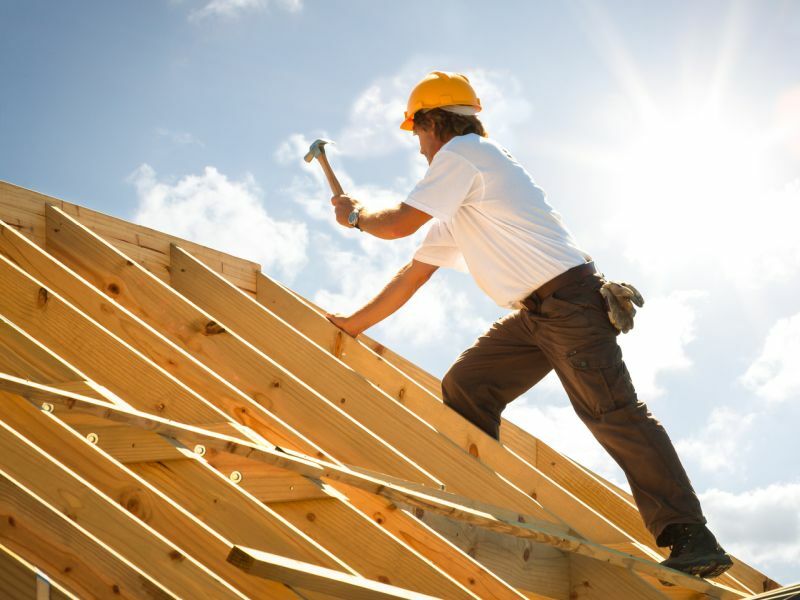 FRIDAY, April 27, 2018 (HealthDay News) -- Construction workers, farmers and others who work in the sun are at greater risk for skin cancer, according to researchers. 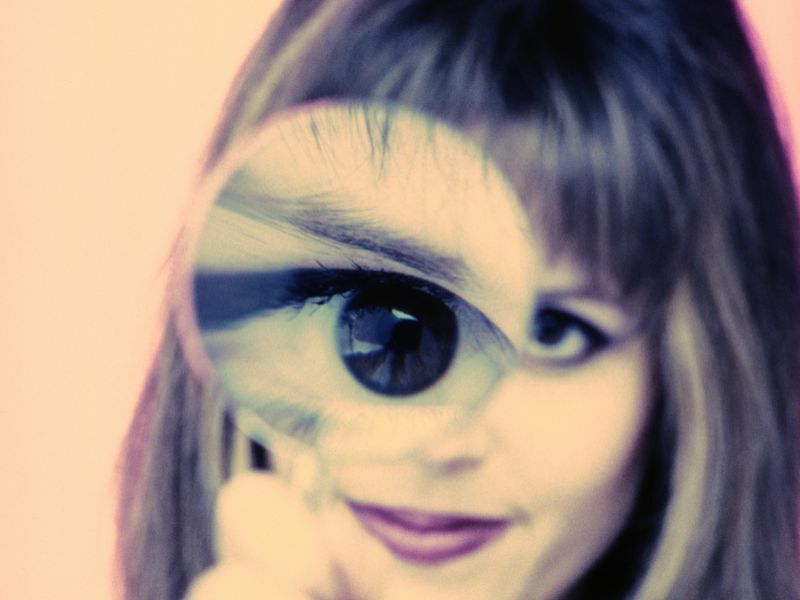 And a new study reveals these job-related cancers cost nations millions in medical expenses. WEDNESDAY, April 4, 2018 (HealthDay News) -- Even though it's widely known that tanning bed use greatly increases the odds for skin cancer, 70 percent of Americans who've used the devices have never had a doctor check them for the disease. That's the finding from a new study of data on more than 30,000 U.S. adults. TUESDAY, March 20, 2018 (HealthDay News) -- Doctors should start early with skin cancer prevention advice when their patients are light-skinned, suggests new guidelines that bump that starting point back to the age of 6 months. FRIDAY, Feb. 23, 2018 (HealthDay News) -- The health risks are high for young people who use tanning beds, but not all parents seem to see it that way. WEDNESDAY, Nov. 8, 2017 (HealthDay News) -- Indoor tanning appears to be more addictive for men than women, even though they use tanning beds less than females, a new study finds. WEDNESDAY, Oct. 25, 2017 (HealthDay News) -- Nearly 40 percent of indoor tanning facilities ignore state laws that curb teen tanning, a new survey finds. To protect teens, most states have laws that prevent or create obstacles to using tanning salons, but nearly 2 million high school kids still get indoor tans, said the researchers who conducted the survey. 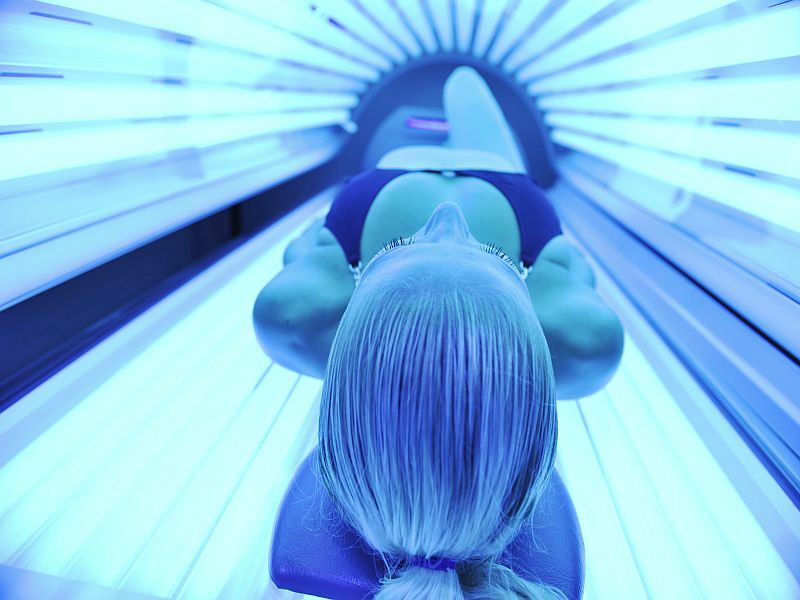 THURSDAY, Oct. 19, 2017 (HealthDay News) -- More than 20 percent of young white women who've been to a tanning salon become addicted to tanning -- even though doing so raises their risk of deadly skin cancer and premature skin aging, a new study reports. These women seem to depend on tanning to feel attractive and often show symptoms of depression, the researchers said. FRIDAY, Aug. 11, 2017 (HealthDay News) -- It may be easier than ever to find sunscreen with all the right stuff, but be sure to read the label or you could still get burned. THURSDAY, July 27, 2017 (HealthDay News) -- A type of skin cancer called squamous cell carcinoma (SCC) is increasingly common in the United States, so people need to be alert for signs of the disease, an expert says. About 700,000 new cases of this skin cancer are diagnosed in the United States each year, according to the American Academy of Dermatology. MONDAY, July 17, 2017 (HealthDay News) -- It's well-known that too much time in the sun puts your skin at risk. But it's extra important to limit sun exposure when you're taking certain prescription medications, a pharmaceutical expert warns. MONDAY, July 17, 2017 (HealthDay News) -- You know you're supposed to slather on a high-SPF sunscreen before going out in the sun, but these five steps will help you double up on that protection. TUESDAY, June 27, 2017 (HealthDay News) -- Lots of people like that sun-kissed look on their skin, but experts caution against any tanning at all. "There's no such thing as a healthy tan. 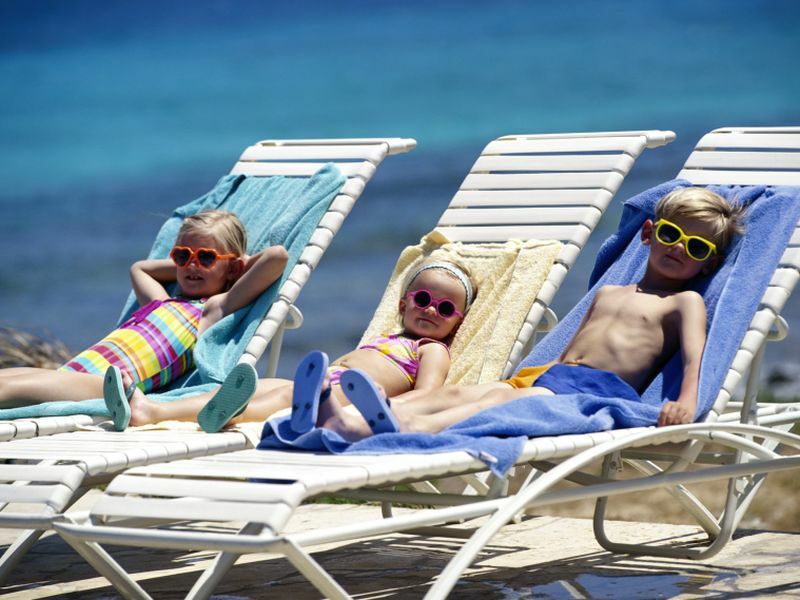 Tanning is a sign of skin damage," said Dr. Ross Levy, chief of dermatology at Northern Westchester Hospital in Mount Kisco, N.Y.
FRIDAY, June 23, 2017 (HealthDay News) -- Want to help protect your children from skin cancer as they get older? Make sure they never get a serious sunburn in childhood. 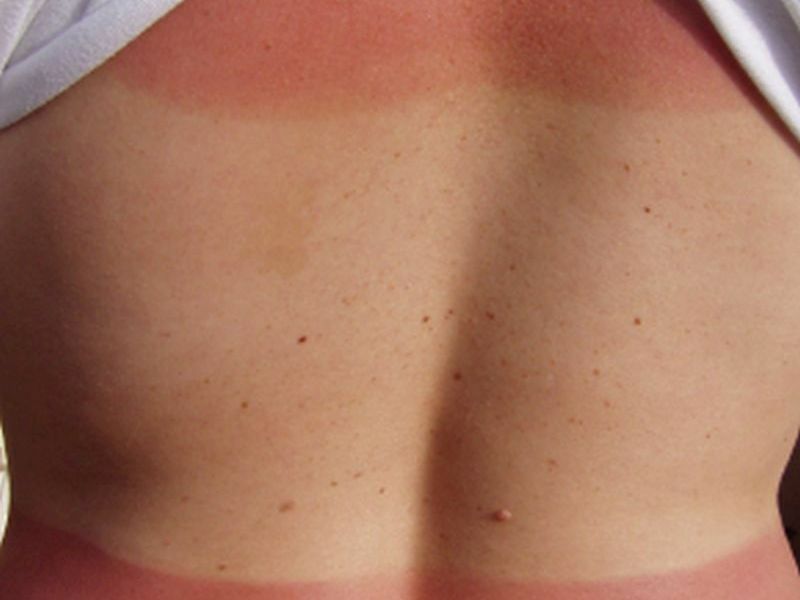 Just one blistering burn as a child or teen nearly doubles the risk of getting melanoma, according to the American Academy of Dermatology. Have Scientists Created a Safe, Sun-Free Tan? WEDNESDAY, June 14, 2017 (HealthDay News) -- Many people would love to have a natural-looking golden tan, but know that soaking up the sun raises their risk of skin cancer. 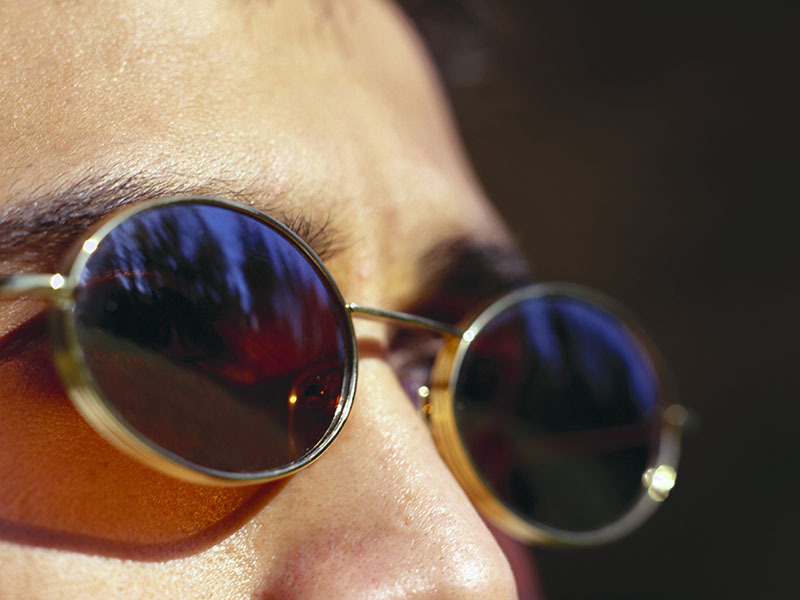 Now scientists say they've developed a way to tan without exposure to damaging ultraviolet (UV) radiation. TUESDAY, May 16, 2017 (HealthDay News) -- Many people make mistakes when using sunscreen that could increase their risk of skin cancer, a new study suggests. Researchers set up free sunscreen dispensers at the Minnesota State Fair and watched as nearly 2,200 people used them.